Mandi, formerly known as Mandav Nagar and also Sahor, was a historic town of Himachal Pradesh, which is situated on the banks of river Beas. Once the princely state of Mandi, today it is a fast growing town that has still kept its old character alive. With around 81 temples� it is known as �Varanasi of the hills�. It also has a number of ancient palaces that are a proof of outstanding colonial architecture. All these tourist attractions draw a large number of tourists towards themselves. Rajmahal Palace hotel is one of the most well-known Heritage hotels in Mandi for which you can make an online booking with the help of the Heritage Hotels of India right while being at the comfort of your home. This was a royal residence that was transformed into a heritage hotel so that tourists from India and aboard can have a comfortable stay, filled with luxuries. 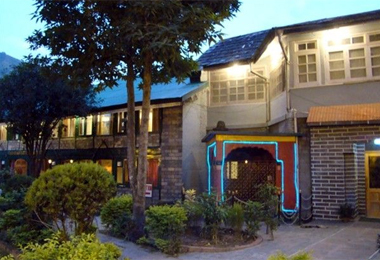 The accommodation at the hotel is divided into cottages, rooms and suites; you can choose one as per your liking. Gorge on sumptuous delicacies and relish your favorite drink, during your stay at the hotel. The hotel is well-equipped to meet not only leisure tourists but those on business as well.